Disclosure: Los Tweens is a compensated Ford Motor Company Ambassador. However, all opinions are our own. Today marked the day that 28 South Florida Ford dealers had been working towards throughout the month of October. 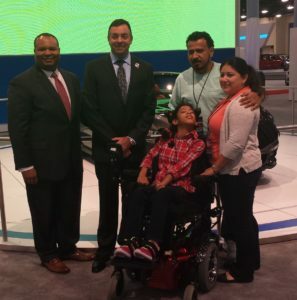 Ford Motor Company presented a custom wheelchair to Kaylee, a child diagnosed with cerebral palsy, at the Miami Auto Show. The Sound Florida dealers had banned together to raise funds for the Darrell Gwynn Foundation, a non-profit that provides mobility to people living with paralysis. Kaylee, an 11 year-old Miami tween, is unable to push a manual wheelchair due to weakness in her arms. Unfortunately, Kaylee’s insurance didn’t cover a power wheelchair and her family could not afford to purchase one. Through the kind donations of the Sound Florida Ford dealers, Kaylee received her specially designed chair that she can drive by moving her head. The Darrell Gwynn Foundation was started in 2002 by race car driver Darrell Gwynn and his wife after Darrell suffered a spinal chord injury. The Foundation has donated more than 300 wheelchairs to needy adults and children nationwide and depends on the generosity of donors. “The independence and mobility that a powered wheelchair gives is life changing, not just for the individual but also for the family,” said Todd Payne, Chairman of the Darrell Gwynn Foundation. Ford Motor Company is showcasing it’s all new Ford F-150 and Mustang at the Miami Auto Show. The new F-150 boasts a redesigned steel frame, aluminum-alloy body, 400-watt power outlets inside the cab, LED headlights and side-view mirror spotlights and remote tailgate release. The 2015 Mustang has Intelligent Access with a push-button start to SYNC and MyKey and a Shaker Pro audio system. 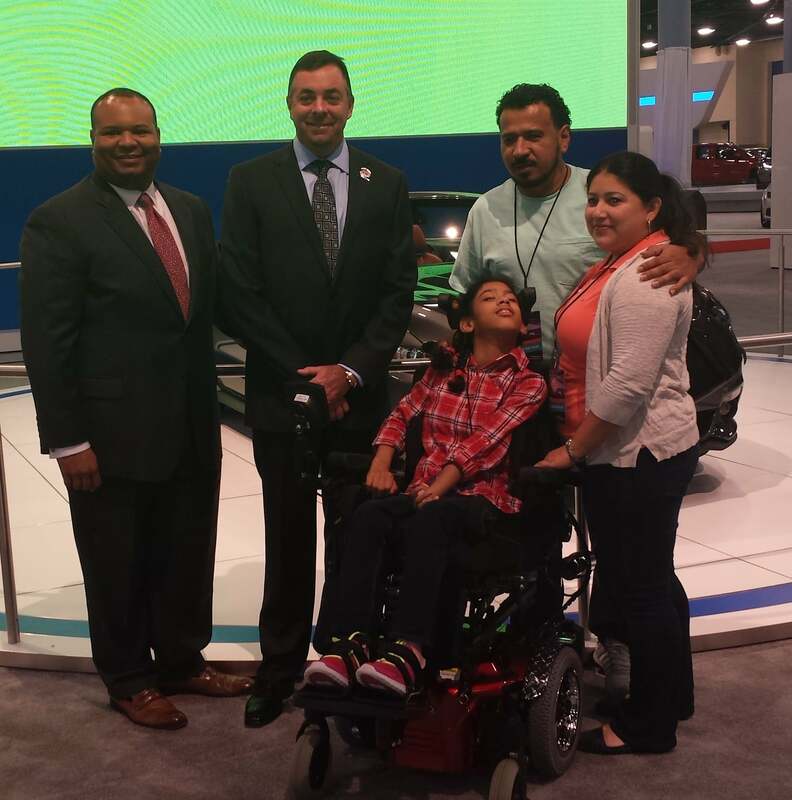 Kaylee and her family as well as Ford representatives were on-hand for the presentation of the customized wheelchair. Powered and customized wheelchairs can range in price from $6,000 to $60,000. The South Florida Ford dealers were able to raise funds for the Darryl Gwynn Foundation to purchase 4 wheelchairs. For more information on the Miami Auto Show visit www.miamiautoshow.net. For more information and to make a donation to the Darrell Gwynn Foundation, visit www.darrellgwynnfoundation.org. 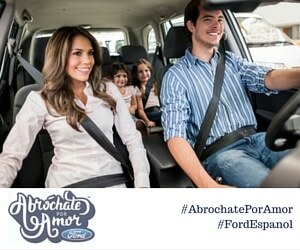 This entry was posted in Culture and tagged community, Ford, Miami. Bookmark the permalink.